The overall product dimensions measure at the minuscule 12 x 9 x 13.5 inches, making it one of the most compact solutions out there. On top of that, it comes with built-in structural support to maintain flatness and a detached cradle that will be incredibly useful when it comes to mugs and similar elements. The heat platen may get a bit shaky after some time. There are plenty of other options on the market but if you want the most versatile and compact piece of technology that nonetheless is capable of outputting a considerable amount of power, the F2C F2C-T31 Pro 6 in 1 Combo Heat Press Machine will not disappoint you. Digital Transfer, Timer control 0 - 999 seconds. The machine is capable of delivering up to 1800 watts of raw power easily making it one of the more robust and powerful options on the market. On top of that, the device is capable of reaching the temperatures up to 700 degrees Fahrenheit meaning that it won't have any trouble with any kind of surface. It takes some time to heat up and the press is a bit smaller than one might expect. 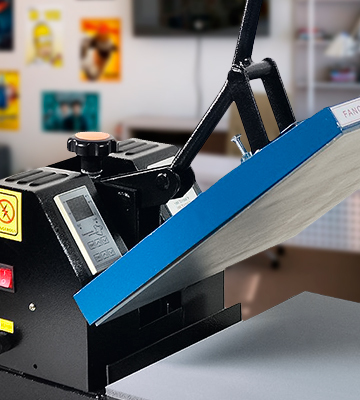 We highly recommend the Fancierstudio BB1515 T-Shirt Heat Press to the kinds of people that aren't interested in a device that's lacking in performance and are looking for the most powerful model the market of heat press machines has to offer. 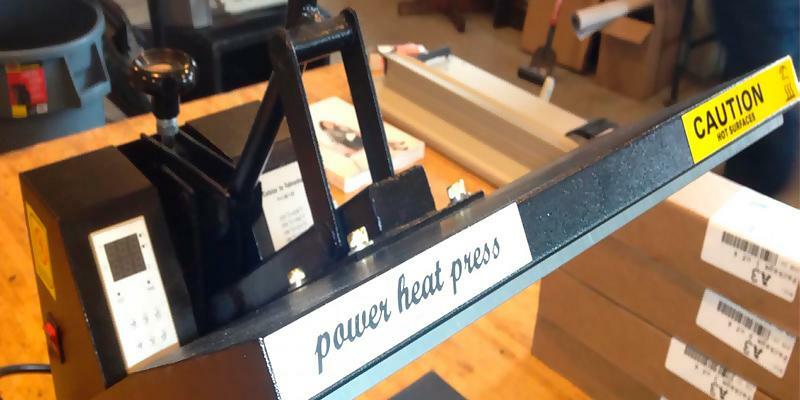 A high power provides fast platen heating. A firm construction ensures a long life of the press. Also, the press is easy to use. Once unpacked, the press may generate a sharp odor that will disappear in a few days. PowerPress is an eligible investment thanks to its simple and reliable design. This model will serve for many years with due maintenance. The full-range pressure-adjustment knob is easy to access and provides a convenient top-mounted control. The parallel arm handle incorporates an ergonomic foam-grip that minimizes handle flex when opening and closing the unit. 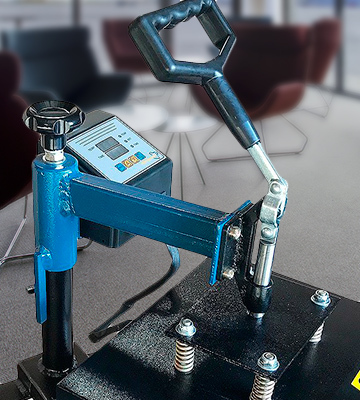 The adjustable multi-spring balancer applies closing pressure through a spring and pressure-plate system, evenly distributing pressure across the entire platen. Takes some time to set the whole thing up. The Promo Heat CS-15 does not disappoint as far as the performance is concerned. But, first and foremost, the model is practical and comfortable, comfortable for everyday use as well as for long production runs, making it equally suitable for commercial and residential use. The pre-installed Teflon-coated heat platen is capable of printing on any kind of texture and surface regardless of its density and other properties. It features 10" in width and 12" in length and its surface is also non-stick, preventing scorching of transfers. Plus, it does not require a separate silicone/Teflon sheet. You may experience an unpleasant smell during the first try. 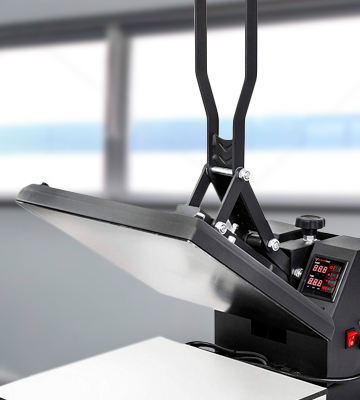 If you're looking for a device that will be able to bring some excitement into your life as well as serve as a great potential business opportunity, the ePhotoinc 9x12 Press T-Shirt Heat Press Machine is the one you really should not miss. Buying any kind of device can often present a considerable challenge when it comes to searching for the best possible option on the market. Of course, you can always go for the most expensive model or simply put your trust into the company that is well-known in whatever field you're interested in or even outside of it. But that doesn't necessarily guarantee that you will be able to always acquire the best that this field has to offer. Furthermore, that challenge can always one-up itself and present an even harder task when it comes to searching for one of the more obscure types of products. As difficult as it can be to find the best laptop or one of the better smartphones, finding out the best that the world of, say, T-shirt heat press machines has to offer can be almost impossible on your own, especially if this is your first rodeo and you do not necessarily know what to look for. If you have managed to find yourself in this kind of situation, instead of being none the wiser and trying to figure out the best possible solution on your own, it would be better to trust other people to do that job for you. And while we cannot necessarily guarantee that you will absolutely fall in love with your choice, we can declare with confidence that the F2C F2C-T31 Pro 6 in 1 Combo Heat Press Machine is one of the best options out there that will be able to satisfy the overwhelming majority of customers. The full name of this piece of technology is F2C Pro 6 in 1 Combo Heat Press Machine T-shirt Hat Cap Mug Plate Digital Transfer Sublimation Machine (6 in 1). And if that seems like an overly convoluted and unnecessarily long title, you're in for quite a surprise. This device is capable of printing on a large variety of surfaces, including but not limited to the previously mentioned in the name of this product T-shirts, mugs, caps but also ceramic plates, ceramic tiles, coasters, mouse pads, jigsaw puzzles, and other miscellaneous fabrics. As cliche as it can be to claim that the device is versatile and is capable of doing it all, calling this particular machine anything else would be an understatement, to say the least, and we aren't looking to sell this one short. 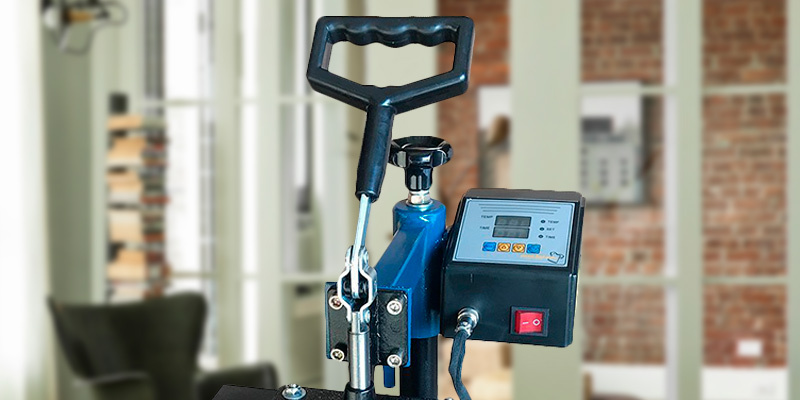 The device is one of the best-sellers in the world of heat press machines and the manufacturers like to attribute this success to the swing-away design of this model that features an interchangeable system of heat platens and other elements and includes a flat platen, mugs, and plates. On top of that, the machine is capable of transferring colorful pictures and characters of sublimating and dissolved printing ink onto ceramics, glasses, and textiles such as cotton, flax, chemical fiber, nylon, etc. Naturally, as great as versatility and flexibility can be, this device probably would not have been able to achieve the kind of commercial success that it did by the virtue of these aspects and nothing else. 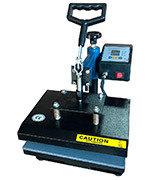 One of the more outstanding and remarkable things about this machine is that although it is a pretty heavy piece of equipment, weighing in at more than fifty pounds, the overall product dimensions measure at the minuscule 12 x 9 x 13.5 inches, making it one of the most compact solutions out there. Being this small of a size, this model can be put literally anywhere and you won't have to worry about it taking up some of that precious space of yours. On top of that, it comes with built-in structural support to maintain flatness and a detached cradle that, featuring a compact and lightweight design as well, will be incredibly useful when it comes to mugs and similar elements. And if that wasn't enough, the machine is no dummy when it comes to the performance aspects of it all. It features a power input of 1000W, a temperature that is capable of ranging from 32 to 430 Fahrenheit degrees and a timer control that you can set from 0 to 999 seconds. There are plenty of other options on the market but if you want the most versatile and compact piece of technology that nonetheless is capable of outputting a considerable amount of power, the F2C F2C-T31 Pro 6 in 1 Combo Heat Press Machine will not disappoint you. There's a good chance that even after reading our short summary of what a T-shirt press machine is, what it is capable of, and what to look for in one of those, you may still not be entirely sold on the idea of getting one for yourself. And we can't necessarily blame you for that since this piece of equipment is definitely one of the more obscure products and claiming that it could literally change your entire life or turn you into a different person would probably be quite an exaggeration. But just because the item can't be sincerely described as an absolute necessity doesn't mean that the product in question is something that isn't worthy of your money or attention. First of all, a T-shirt press machine can serve as a great source of entertainment providing you with an opportunity to brighten your day and possibly improve the mood of everyone around you by paying tribute to one of your beloved characters or a favorite quote from a respected author. Second, T-shirt heat press machines are a lot less messy than a screen printing machine since those employ the use of solvents and dyes and they print T-shirts quickly and economically without sacrificing the quality of the picture. And the last but not least, these types of devices are incredibly easy to operate and even some of the most inexperienced users will quickly learn their way around it. 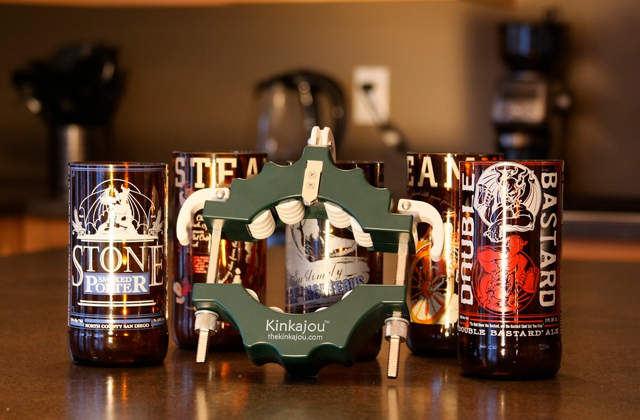 So instead of hesitating or wasting your money on a subpar product, acquire the Fancierstudio BB1515 T-Shirt Heat Press and have some fun with one of these entertaining devices. 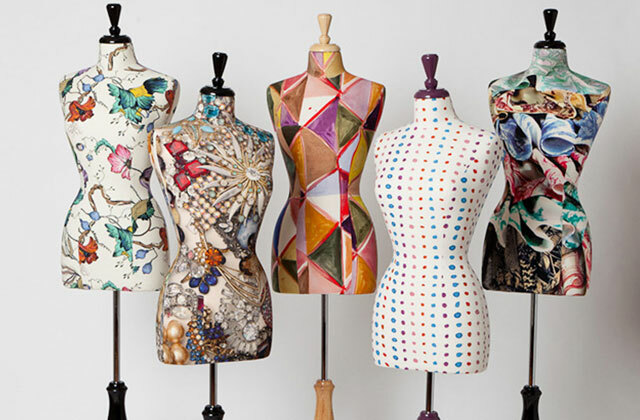 One of the first things that people tend to notice when it comes to any kind of product but especially to the types that include devices like heat press machines would certainly have to be the size and the overall exterior of the model. 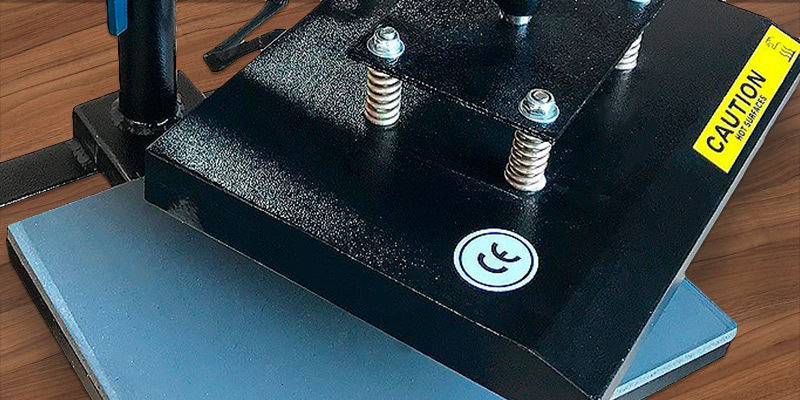 And this particular heat press machine from Fancierstudio certainly delivers in this aspect, featuring a pretty massive piece of technology that will take up to 30 x 19 x 17 inches of your space. Although that may seem like an inconvenience to some people given that with these kinds of overall dimensions placing this machine somewhere in your home can certainly present somewhat of a challenge, there's no need to get discouraged just yet. First of all, despite the relatively considerable size of this device, it features the weight of only 51 pounds, so transferring it from one place to the other will be no more than a walk in the park. On top of that, all of these dimensions aren't there just to take some of that precious space of yours away but are an actual necessity given that Fancierstudio market this machine as an industrial-quality sublimation model and after taking a closer look, we couldn't disagree with them even if we wanted to. 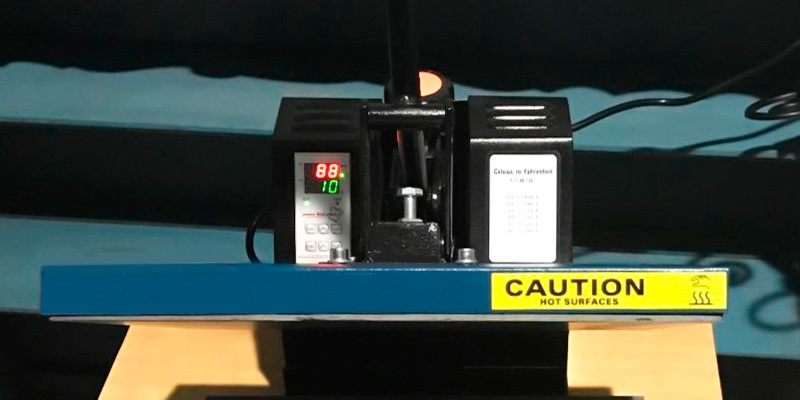 The Fancierstudio BB1515 T-Shirt Heat Press requires a voltage of 110 volts but that comes as no surprise after you find out that the machine is capable of delivering up to 1800 watts of raw power easily making it one of the more robust and powerful options on the market. 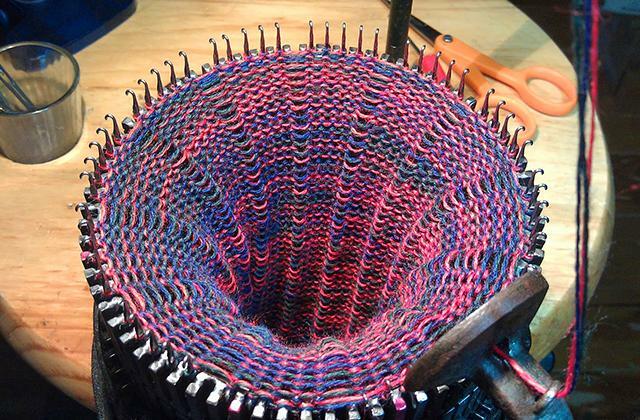 On top of that, the device is capable of reaching the temperatures up to 700 degrees Fahrenheit meaning that it won't have any trouble applying letters, numbers, and images not just on regular T-shirts but also garments, bags, mouse mats, jigsaw puzzles, ID badges, ceramic tiles, and a variety of different items regardless of the structure of their surface. Controlling it won't present any issues either thanks to the digital timer and the digital control that will allow you to monitor and regulate the aforementioned temperature. 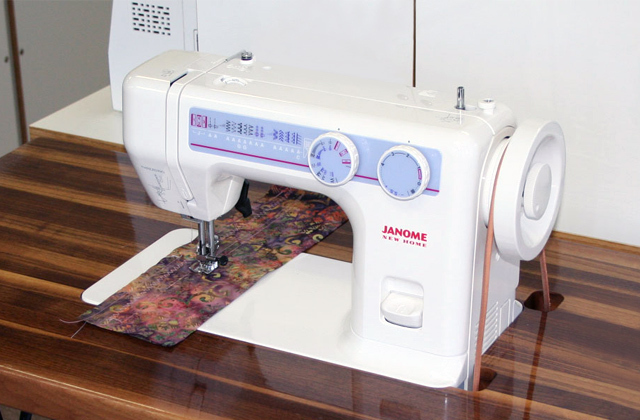 The model also comes with a magnetic draw for automatic opening and easy pressure adjustments. That, and the fact that you can fully assemble it upon arrival, make this model a great choice for beginners as nearly everything is digital or adjustable and the pullout drawer keeps your hands away from the plate. The fact that the platen is made of aluminum may disappoint some of the potential customers, but the quality of the aforementioned material doesn't leave a lot to be desired. All in all, we can wholeheartedly recommend the Fancierstudio BB1515 T-Shirt Heat Press to the kinds of people that aren't interested in a device that is lacking in terms of performance and are looking for the most powerful model the market of heat press machines has to offer. 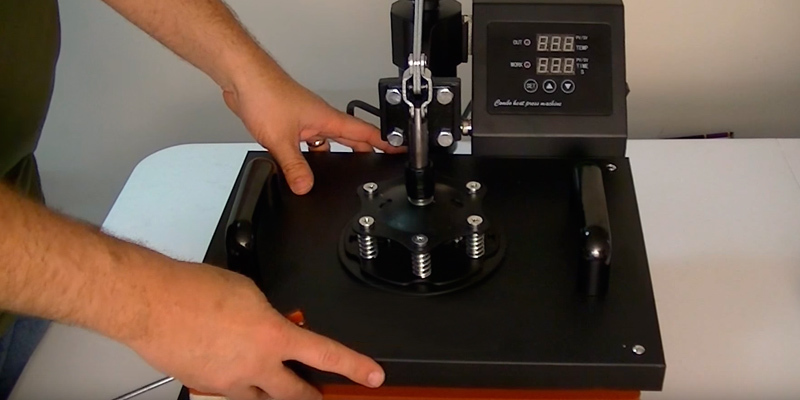 PowerPress can be classified as a device that allows you to launch a full-scale production right at home. This is owing to the unit's high power that allows the press to get hot quickly without losing your precious time. Also, the 15"x15" heat platen lets the press handle A3 and A4 images. The heating temperature is 500ºF, and the press machine can make prints on both fabric and solid materials. 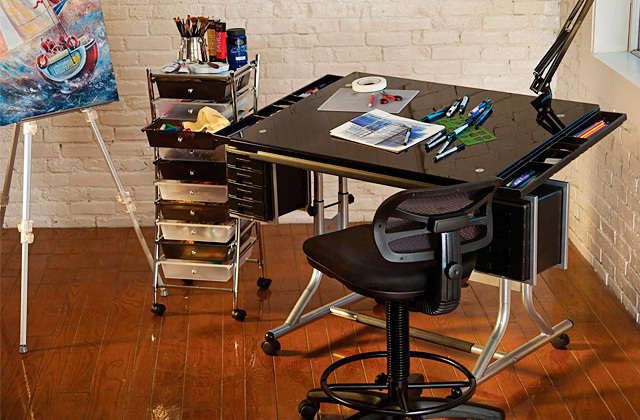 A durable steel body will work really long even with intense daily use. A short heat-up period needs certain resources, so the power consumption of this heat press is higher than some other models. A high-quality and efficient printing is achieved by silicon gel base board on the lower heat platen that prevents sticking and adds to the uniform pressure application to the printing surface. 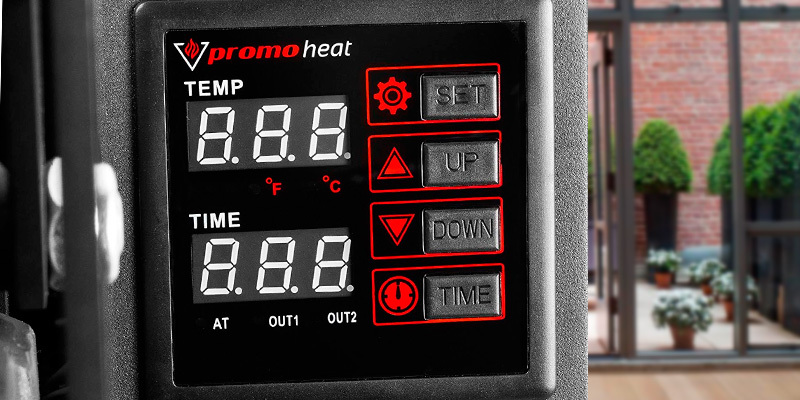 Simple and efficient printing is implemented by the digital control unit that allows you to set the printing time and temperature. All the info will be shown on the display located on the left side of the press. The display is divided into 2 units and each shows the time and temperature. When the printing is over, the machine generates an alarm, reminding you to remove the product. We should note the handle design and the products fixation for printing. 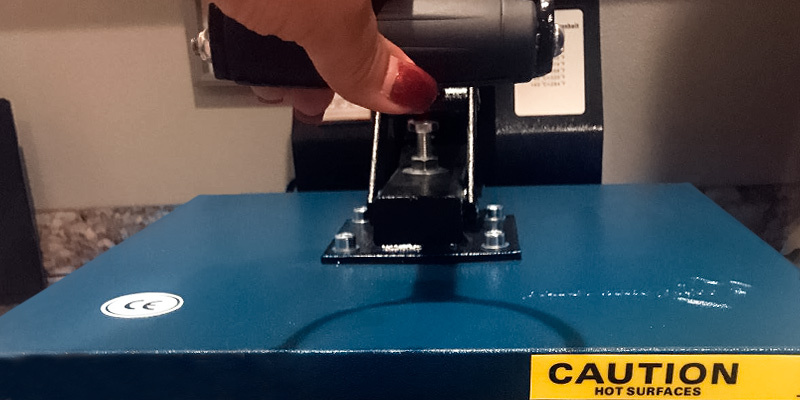 The handle is made in a way to let you close and open the press machine with minimum efforts. In addition, the handle features a special soft grip that improves convenience and reduces your fatigue. The pressure can be adjusted with an accessory lever located at the handle base. 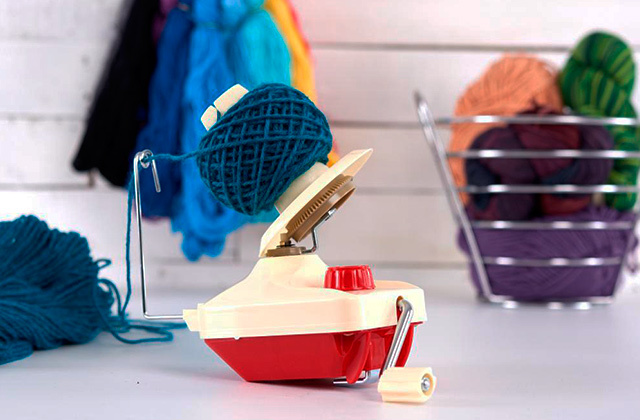 This machine will help you to make T-shirts and DIY goods exceptional by transferring images on them. If you really wish to make unreplicated things, consider buying an engraver. 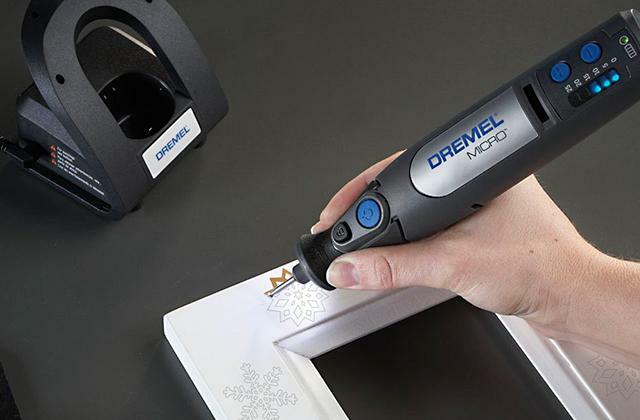 This tool will help you carve an inscription or image on solid surfaces, for example, glass. There isn't much to not like about the Promo Heat CS-15. Sure, it doesn't necessarily rival some of the more expensive press machines when it comes to power and the temperature range (though it is pretty darn close). But what it lacks in those aspects, the model more than makes up with a great number of features that make the whole thing practical and efficient. 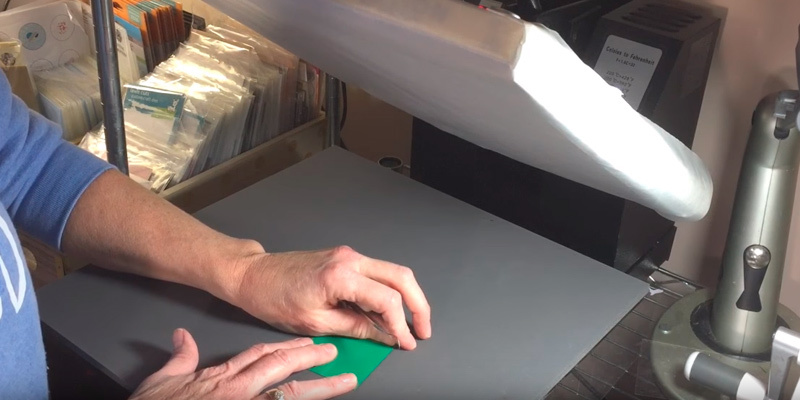 With a heat platen that adds up to 15" x 15", the machine will let you transfer onto a variety of different flat-surfaced items, from metal and wood to ceramic, glass, and fabric. With it, you'll easily be able to create your very own custom t-shirts, mouse pads, tote bags, license plates, as well as a number of fun and unique items. Of course, it isn't just about the size. We did say earlier that the machine is able to challenge the high-end models mostly thanks to its practical design and a few nice extra features. But the fact that all of it comes already assembled and ready to use is a nice touch too. Sure, the printer and paper aren't included and it might take you some time to figure out the settings. But, you can have some fun with the machine right from the get-go and that's always a plus. Speaking of things that are always a plus, especially as far as residential use goes, the model incorporates a clamshell configuration, making for a nice space-saving design that easily fits inside your average garage and doesn't take away too much real estate. The aforementioned settings that may require some time in your part are available via a digital LCD panel. Using this control panel, among other things, you'll be able to set up a timer and the model will provide an audible alarm once the heating element's done its job. This way, the machine helps you avoid overexposure. Aside from the timer, you can also set a temperature limit so that the said element stops heating the moment it reaches the preset temperature. One thing we like in particular is the full-range pressure-adjustment knob. A knob like that is easy to access and provides a convenient top-mounted control. This kind of treatment lets the pressure get adjusted according to the thickness of the material you're transferring to. With t-shirt press machines, comfort is always a priority. 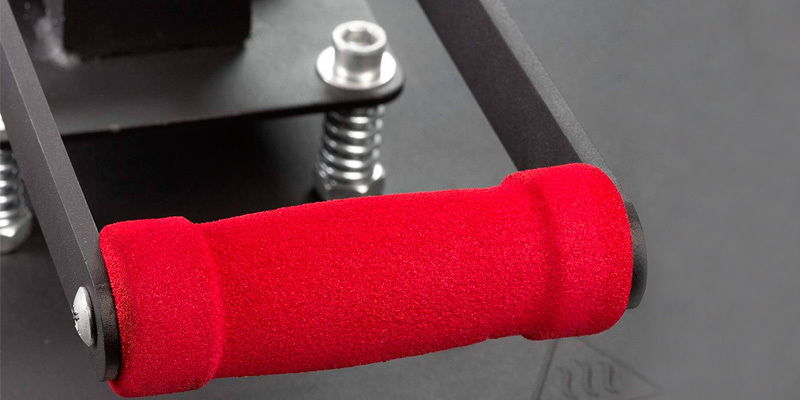 So the parallel arm handle that incorporates an ergonomic foam-grip deserves a special mention too. 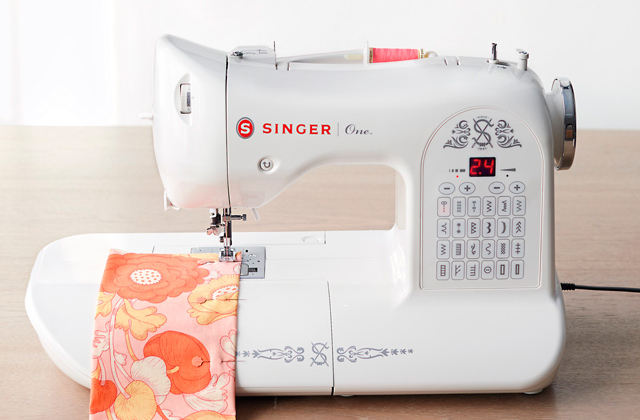 Unlike the majority of single-arm machines that often twist and torque, a handle like that minimizes handle flex when opening and closing the unit. Finally, there's the adjustable multi-spring balancer. Simply put, it applies closing pressure through a spring and pressure-plate system. 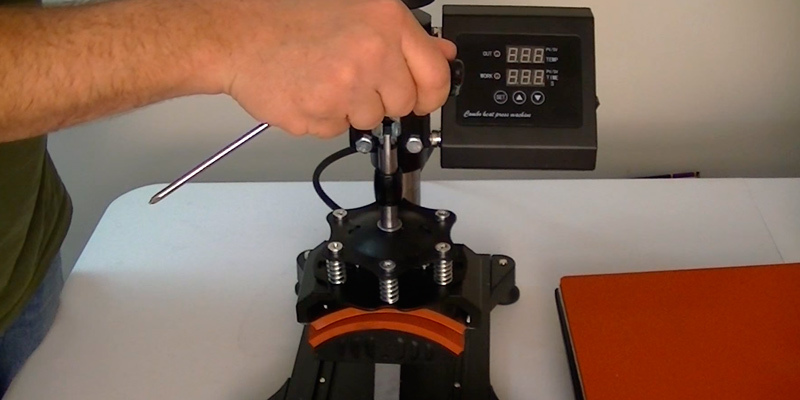 A system like that distributes pressure more evenly across the entire platen. Long story short, the Promo Heat CS-15 does not disappoint as far as the performance is concerned. But, first and foremost, the model is practical and comfortable, comfortable for everyday use as well as for long production runs, making it equally suitable for commercial and residential use. Let's face it - a T-shirt heat press machine may be a complicated piece of technology but it has a singular purpose. And as great as a variety of different additional options can be and as alluring and attractive certain design solutions may seem, at the end of the day, this probably isn't why you decided to get this type of device in the first place. Sure, dissimilar to the screen printing devices, there isn't a chance that your shirts and any other possible items will get damaged by ink spills and these machines are capable of printing intricate, realistic, and colorful images designed and created in software like CorelDRAW and offer outstanding image resolution. But the biggest reason people choose T-shirt heat press machines instead of other solutions most often has something to do with the affordability aspect of these devices. While screen printing may be cost-effective if you're planning on dealing with hundreds of similar items, for smaller runs, meaning no more than 10 subjects, the unit cost of t-shirts made with heat press technology simply pales in comparison to the screen printing counterparts. Meaning that ultimately, acquiring a heat press machine will likely do far less damage to your financial situation. On top of that, if you're planning to use this device for commercial use, depending on the volume of orders received, your enterprise can quickly make up for the financial loss and almost instantly start turning a profit. And speaking of affordability, the ePhotoinc 9x12 Press T-Shirt Heat Press Machine is one of the cheapest options on the market, making it an incredibly safe and virtually risk-free investment. 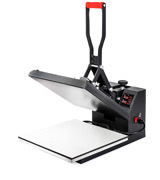 Like we have already mentioned, the ePhotoinc 9x12 Press T-Shirt Heat Press Machine is one of the cheapest options that the world of heat press machines has to offer, but don't let the price tag fool or discourage you. Just the fact that this model is cheap does not mean that it lacks in terms of quality and performance in the slightest. 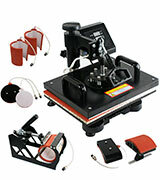 One of the most important aspects of heat press machine has got to be its heat platen given that it's exactly the place where all the magic happens and you won't be able to claim that your device is a capable heat press machine if it stands out in every other element but features a subpar heat platen. And people behind this product at ePhotoInc certainly aren't interested in letting this happen which is exactly why they equipped this model with a pre-installed Teflon-coated heat platen that is capable of withstanding and handling printing on any kind of texture and surface regardless of its density and other properties. 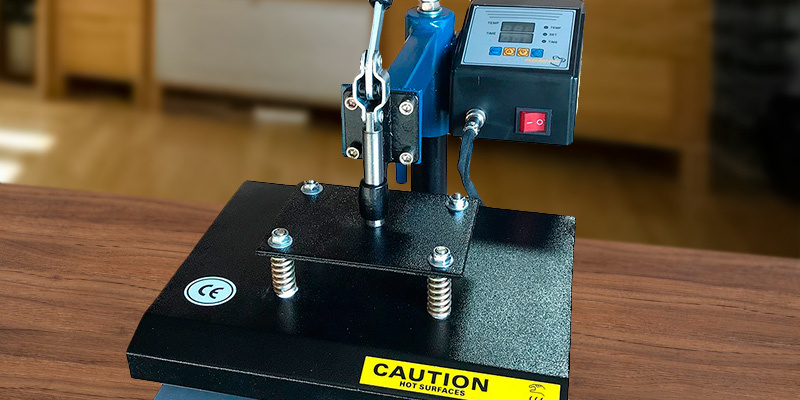 The aforementioned heat platen features 10 inches in width and 12 inches in length meaning there's virtually no chance you will have to deal with the discomfort of any item not fitting properly onto your platen. On top of that, the surface of it is also non-stick, preventing scorching of transfers, and does not require a separate silicone/Teflon sheet. 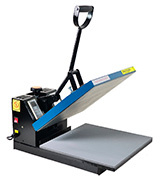 Some people may think of heat press machines as complicated and convoluted devices that may require a sufficient amount of knowledge and experience in order to be handled properly. And whether that's true or not in regards to every other heat press machine out there is a subject that is certainly up for debate, this particular model is definitely not one of those cases. The device from ePhotoinc arrives already fully assembled and ready to use meaning you won't have to deal with all the instruction manuals and the inconvenience of setting up the entire thing yourself. The printer and paper are not included, but acquiring those will not present any kind of challenge. The model also comes featuring a swing-away design which a lot of experts consider to be an improvement over clamshell designs, given that the pressure is directed straight down, making sure that it will be more evenly applied thus improving the quality of the final product. Thanks to the full 360-degree rotation of swing arm, the heating element can be moved safely aside, reducing the chances of accidental contact. Capable of reaching the temperature of up to 500 degrees Fahrenheit, this device will provide you with an opportunity to transfer onto many flat surfaced items, such as fabric, metal, wood, ceramic & glass meaning you can create your own custom t-shirts, mouse pads, tote bags, license plates, and many other interesting and exciting items. 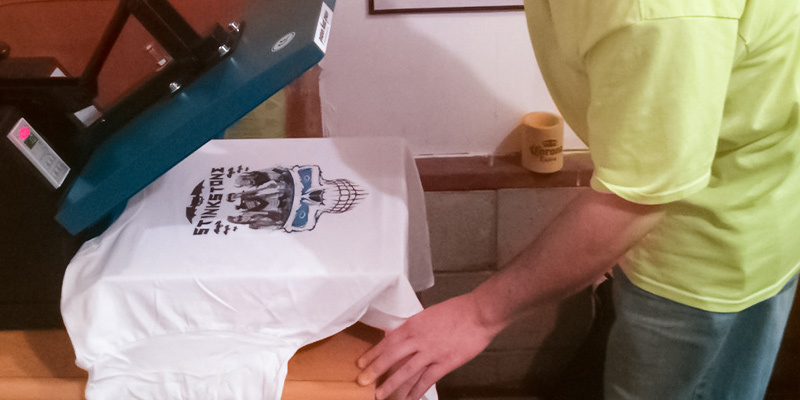 So if you're looking for a device that will be able to bring some excitement into your life as well as serve as a great business opportunity, the ePhotoinc 9x12 Press T-Shirt Heat Press Machine is the one you really should not miss. What Is a T-Shirt Press Machine? If you want to create a unique and inimitable image or wish to imprint the logo of your favorite music band, team, or photo of your beloved, you will need a printer and a T-shirt press machine. 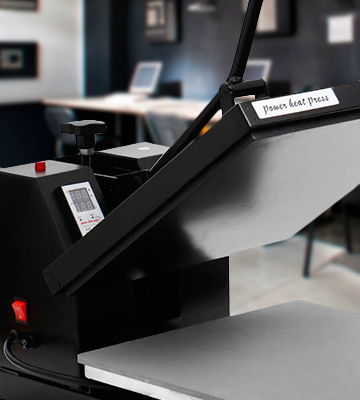 A press machine is a versatile device designed for printing photos, images, and logos on T-shirts. A press machine will decorate jerseys or shirts of any kind with an image or tracery to your liking. The operating principle of a press machine is based on sublimation technology. In other words, the image is printed on a conventional inkjet printer with sublimation inks. Then, a press machine transfers the image on the desired material under high temperature. 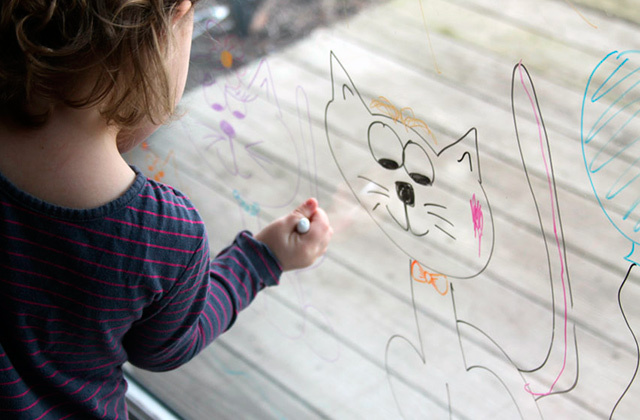 The inks penetrate deep into the superficial layer of the material. As a result, you get a stable image that has no cracks and scratches and does not peel or get dim. If you are a handmade enthusiast, you may take interest in our review of scrapbooking cutting machines to create decorative elements and adornments. When you choose a T-shirt press machine, check its capabilities for a start. First of all, they depend on the heat platen size. If a T-shirt press machine is designed for А4 printing, its heat platen can be small (11”х15”). If you consider А3 T-shirt press machine, its heat platen should be at least 15”x15”. However, if you pick a 16”х24” heat platen, mind that it needs a considerable power supply. So, consider the capacity of wiring in your premises, too. 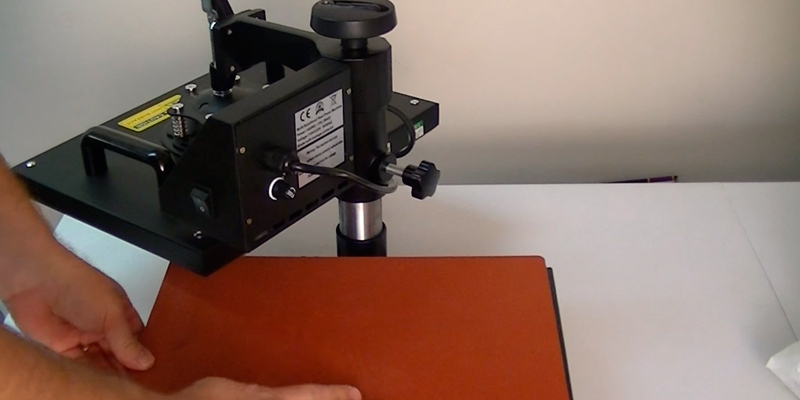 The size of the heat platen determines the size of printed images. A temperature is very important as each material requires a specific one for successful ink transfer and persistent image. Underheating is as bad as overheating. When a press machine underheats the surface, you get a gappy, dim, and unstable image. Overheating leads to the sharpness loss, color distortion, or melting of working surface. So, the temperature range also determines materials that can be handled. Controls are the next criteria to be considered when you look for a T-shirt press machine. 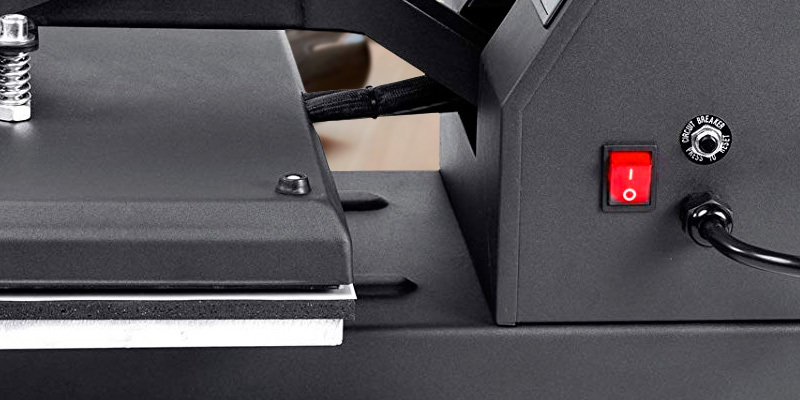 A precise temperature control allows choosing the right temperature mode for printing on various surfaces. A timer is essential for adjustment of the printing duration. The pressure adjustment is required to set the desired value for a specific surface. The temperature and time of T-shirt press machines operation are adjusted thanks to the appropriate control units equipped with digital displays that show the set values. Lastly, look at the usability of T-shirt press machines. The usability largely depends on the T-shirt press machine type; swing-away or clamshell. The swing-away machines need some space on the sides and behind, while the clamshell models are more space-saving. It should be noted that swing-away models provide better pressure distribution than clamshell models, and they are easier to handle, as their heat platens move aside, providing some free working surface (base). 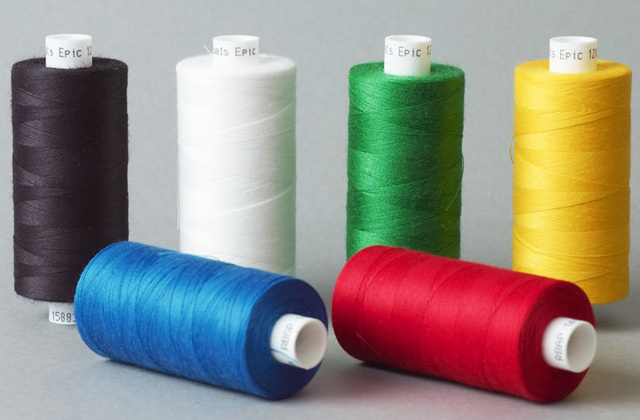 The accessories offered by the manufacturer may also affect the usability of a T-shirt press machine. 1. 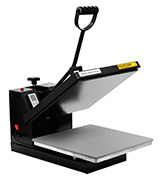 Jerry Heat Press Guide: How to Choose the Right One, SIGNWarehouse. 2. 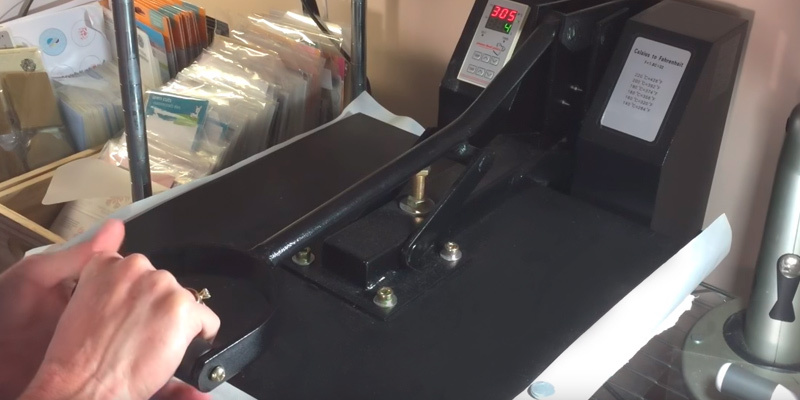 Rodney 5 Tips: How to select which heat press to buy? T-shirtforums.com. 3. HOW TO CHOOSE A HEAT PRESS, Transferexpress. 4. Stacy Zeiger Starting & Operating a Heat Press T-Shirt Business, Chron. 5. 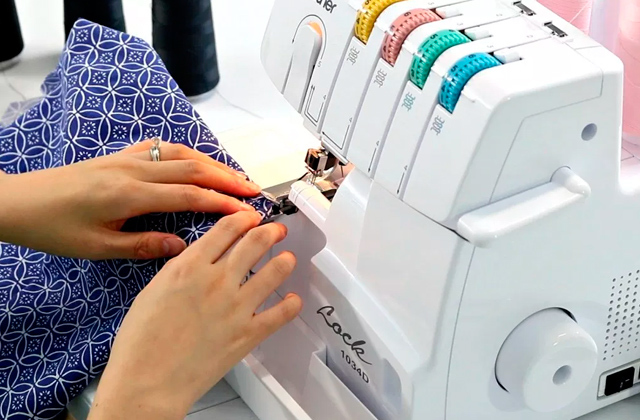 Melissa HOW TO USE A HEAT PRESS WITH HTV (AND IS IT WORTH THE MONEY? ), Silhouette School. September 26, 2014. 6. 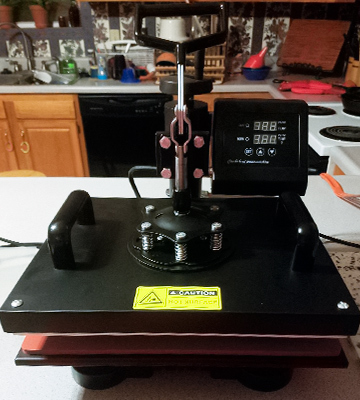 GECKO-15-X15 Heat Press Machine, eBay. 7. Promo Heat 15" x 15" Sublimation Heat Transfer Press Machine, Desertcart.